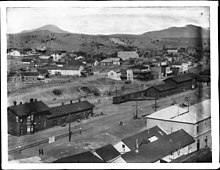 The independent Nogales Municipality, which included the town of Nogales, was established on July 11, 1884. 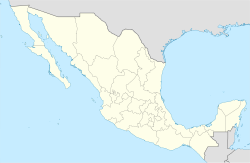 The Nogales Municipality covers an area of 1,675 km². Nogales was declared a city within the Municipality on January 1, 1920. Due in part to the heightened hysteria caused by World War I, allegations surfaced that German agents fomented this violence and died fighting alongside the Mexican troops it was claimed they led into battle. U.S. newspaper reports in Nogales prior to the August 27, 1918 battle documented the departure of the Mexican garrison in Nogales, Sonora, to points south that August in an attempt to quell armed political rebels. Furthermore, an investigation by Army officials from Fort Huachuca, Arizona, could not substantiate accusations of militant German agents in the Mexican border community and instead traced the origins of the violence to the abuse of Mexican border crossers in the year prior to the Battle of Ambos Nogales. The main result of this battle was the building of the first permanent border fence between the two cities of Nogales. Though largely unheard of in the U.S. (and even within most of Mexico), the municipal leaders of Nogales, Sonora, successfully petitioned the Mexican Congress in 1961 to grant the Mexican border city the title of "Heroic City", leading the community's official name, Heroica Nogales, a distinction shared with the Sonoran cities of Guaymas, Caborca, and Ures, and a number of other cities in Mexico. As of 2000 [update], the census reported that the City of Nogales had a population of 159,103 people, representing approximately 50% growth from 1990. By the 2005 census the official population of the city was 189,759, and that of Nogales Municipality was 193,517. 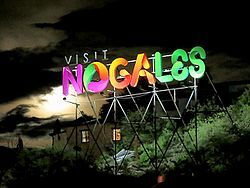 At the latest census in 2010, the official numbers were 212,533 for the City of Nogales, and 220,292 for the Municipality. The population growth is in part due to the influx of industry that has come since the opening of the maquiladora industry through the National Industrialization Program, decades before the North American Free Trade Agreement (NAFTA). During the 90s, this economic context was, in part, held by an important Sonora state social policy by the Secretary of Urban Infrastructure and Ecology, Vernon Perez Rubio, accomplishing the city's total coverage on drinking water, with a 20-year guaranteed service. Manufacturing now accounts for 55% of the city's gross domestic product, and services are growing as well, most of this caused by the growing jobs in the city. In aviation, the city is served by the Aeropuerto internacional de Nogales, which, as of 2015 [update] had no commercial airline service. Approximately 92 establishments produce foreign exports. Sixty-five of these establishments are located in seven industrial parks, which employ approximately 25,400 workers, around 50 percent of the total employed population of the municipality. Also important to the economy is livestock for both foreign export and cattle breeding. Produce is one of Mexico's largest exports to the United States and the Mariposa Port of entry, at Nogales, is the most widely used route for produce destined for the U.S. It is estimated that over 80 percent of Americas produce passes through Nogales each year. [ citation needed] The produce industry requires facilities for the storage, packing, transport and logistics of these goods and provides many with employment on both sides of the border. November through March represent peak harvesting season and it is during these months when jobs are abundant and importation is at its highest.